Begin your day with breakfast on a sunrise cruise to the Turneffe Atoll, the largest of three coral reef atolls in Belize. The Turneffe Atoll, an island of coral encircling a lagoon, stretches 30 miles long and 10 miles wide. 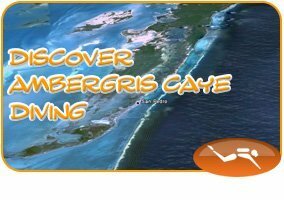 It is a natural spectacle, resulting from the biological concoction of coral beds and hundreds of mangrove islands. 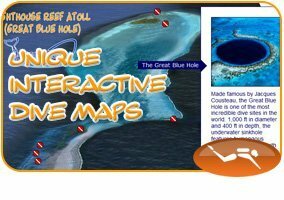 Throughout the day you will explore the reefs of Turneffe on three incredible wall dives. The site is known for its impressive slope walls, creating a natural nursery for a wide variety of exotic fish, including the rare Whitespotted Toadfish. Other common inhabitants are giant jewfish, nurse sharks, reef sharks, trunkfish, and horse-eye jacks. Dolphins tend to play in these parts as well, and the mere sight of these adorable creatures is bound to be your trip’s top highlight. As currents flow in at “The Elbow” at the southernmost point of the atoll, schools of game fish, turtles and Eagle Rays draw in. Here is the perfect photo opportunity, featuring a magnificent backdrop of soft corals and huge turtle sponges. 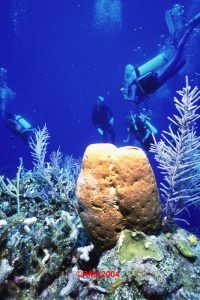 The Turneffe Elbow Day Tour has been commonly described as a myriad of different dive destinations all bundled into one. Considered an advanced dive because of environmental conditions, the outstanding marine life and variety in colors will impress even the most experienced divers. For these reasons Turneffe Atoll is often times noted as the most underrated dive spot in the world. Schedule: Departs at 6am, check in at 5:15am.